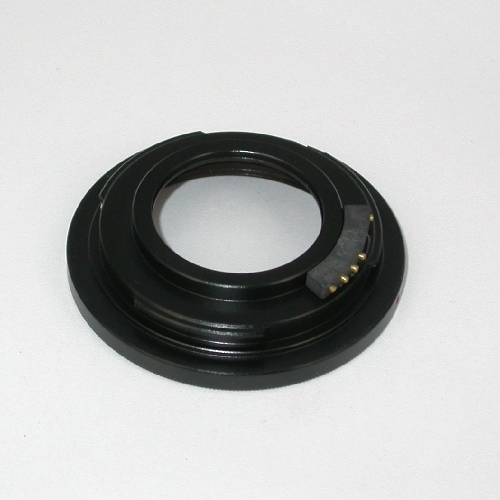 Anello adattatore per fotocamere Nikon ad obbiettivi Vite 42x1 M42 con microchip . Consente di poter inserire le ottiche con filetto vite 42x1 sulle fotocamere Nikon, sia digitali che analogiche. Mantiene la messa a fuoco all'infinito grazie ad un sistema ottico incorporato. 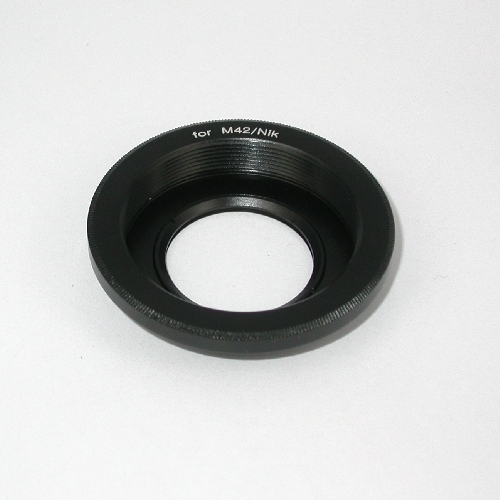 Ring adapter microchip Nikon cameras to objectives Screw 42x1 M42. 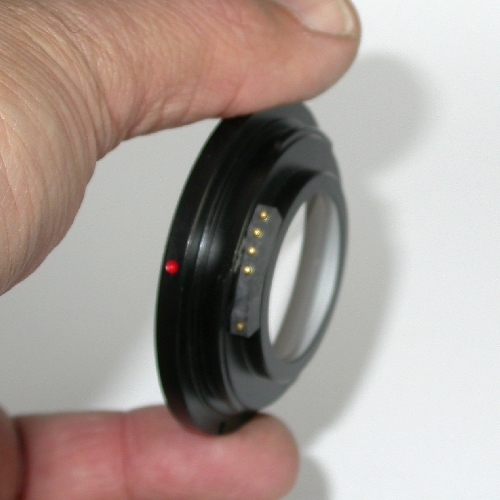 Allows you can put optics with screw thread 42x1 on Nikon cameras, both digital and analog. Maintains focus indefinitely thanks to a built-optical system.